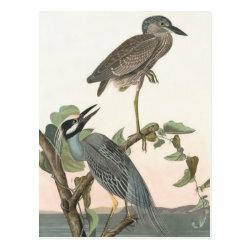 Here is a fine art reproduction of a painting by famed American ornithological artist John James Audubon. 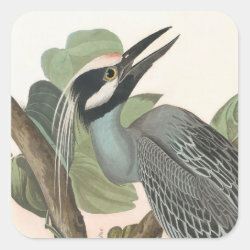 In his day this bird was known as More... the Yellow-crowned Heron; today we call this bird the Yellow-crowned Night-heron. 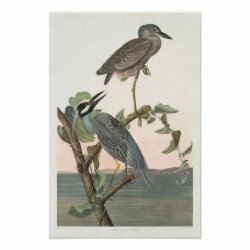 The original piece shows an adult bird and a juvenile bird, with the young bird perched above an aggravated adult.